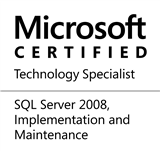 All topics “HowTo” in Microsoft SQL Server. When troubleshooting issues, the Event Viewer is one of the most handy of all tools. Assuming that appropriate coding practices were used during application development, the Event Viewer contains a log of most problems – in the system, in the configuration or in the application code. These analytical requirements are best achieved with tools like Microsoft Excel. And so, I went about analyzing Event Viewer logs in Microsoft Excel in just 2 steps. And that’s it – it completes the 1st step! And that’s it – the Event Viewer Logs are now in Excel and you can use all native Excel capabilities (sort, filter, pivot and so on). I do hope you found this tip helpful. If you have more such thoughts and ideas, drop in a line in the Comments section below. This entry was posted in Blog and tagged Administration, Debugging, Guidance, HowTo, Tips, Tools and Utilities on February 25, 2019 by nakulvachhrajani.